When children return to school this year, Tec Labs® has three products that are “must-haves” in your first aid kit. 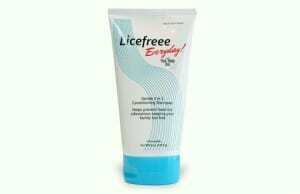 Don’t fret when the dreaded letter arrives informing you that there is a head lice outbreak at your child’s school, simply replace your family’s everyday shampoo with Licefreee Everyday™ Shampoo. I like that this is a non-toxic homeopathic formula that uses the natural ingredients such as Tea Tree Oil. I also like that it is not a harsh formula and in fact it has moisturizing properties since my daughter has a very sensitive scalp. To try this product, I followed the directions on the box by lathering up her hair and letting the product sit for a full three minutes before rinsing. Her hair was easy to comb and she did not have any complaints that her scalp was stinging or itching after using Licefreee Everyday™ Shampoo. I will definitely use this shampoo as needed to prevent head lice infestation and it can also be effective remedy to prevent reoccurring infestations and used by the entire family to help prevent spreading head lice. In an effort to keep kids free of head lice, Tec Labs® has just launched the “Keeping Kids Lice Free” campaign. The Licefreee Everyday™ website has a wealth of information for parents and schools on how to prevent and treat head lice infestations. You can also watch an informative YouTube video from Tec Labs® about preventing head lice infestations. My favorite product from Tec Labs® is StaphAseptic® which is a first aid antiseptic and pain relieving gel. I worked in the health care industry for 14 years and observed the devastating effects of rampant skin infections such as MRSA which can be deadly. Sadly, children are particularly vulnerable to acquired skin infections so I make sure to carefully treat and observe all wounds, cuts and scrapes with an antiseptic. My son had a particularly nasty scrape on his knee after falling off his bike so I cleaned the area, dried it and then applied a small amount of StaphAseptic® gel before covering it up with a bandage. There were no additional tears because he said it didn’t sting and the wound healed nicely over the next few days. In Florida, bug bites are inevitable so we are using Calagel® Anti-Itch Gel. This maximum strength gel was formulated to help sooth irritated skin and relieve itching and pain. We recently returned from vacation and I discovered that what I thought were strange bug bite sores was actually a small patch of poison ivy on my skin. 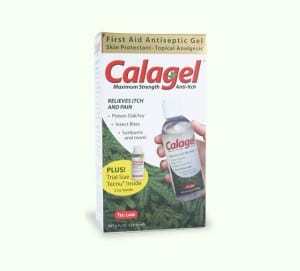 My husband suggested using Calagel® and I was really surprised how quickly the itching was minimized. It is also a good way to relieve sunburn pain too. Tec Labs® products are available at Walgreens and other leading retailers. Overall, I have been very pleased with the three products that I have been using with my own family and I will definitely make good use of the Tec Labs® Back-to-School Survival Kit. You can learn more about all of the products available from Tec Labs® by visiting their website. One lucky reader will receive a Back-to-School Survival Kit from Tec Labs® that includes all three products in this review! I would like to try the corticool. I would also like to try the 10 hour Repellent. I would like to try the 10 Hour Insect Repellent. Also, would like to try the Corticool. Would love to try the Corticool! I would love to try the Tecnu Rash Relief. Tecnu Rash Relief would come in handy in our household. We all suffer from unidentified rashes at various points throughout the year (especially in summer), so a product that soothes all those itches would help! I would love the staphaseptic. The 10 hour insect repellent sounds good to me! I would love to try the outdoor kit. I could use about a million of their 10 hour Repellent! Hate bugs! I would try the Licefreee Spray! Instant Head Lice Treatment. It’s nice to have a spray. I like their 10 hour repellant to keep bugs away. I am allergic to mosquitlos and swell up like a balloon! I would also love to try the 10 Hour™ Insect Repellent. I’d like to try the Tecnu Rash Relief…thanks! I’d like to try Corticool. I’d like to try the StapAseptic. I would like to try the Tecnu Rash Relief.